Claudia Marcelo, DO opened her practice October 1, 2015. Formerly of Life Care Physician Services, Dr.
Marcelo is Board Certified in Family Practice and Geriatric Medicine. The wellness center, called Medically Fit & Balanced, is located inside Post Haste Pharmacy at 4401 Sheridan Street, Hollywood, FL 33021. Dr. Marcelo focuses on holistic solutions as a foundation for maintaining and restoring good health. "My background in geriatric medicine has taught me a lot about the aging process. Using functional and integrative medicine, I'll be able to teach patients of all ages the keys to successful aging" stated Dr. Marcelo. "I hope to make a difference in people's lives," she added. For more information call 954.989.6524.
n serving as interim CEO since June. 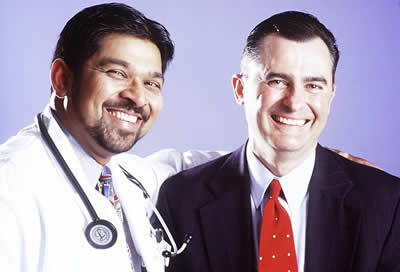 "Dr. Roldan has extensive experience as a clinician, an educator, and as a health care administrator," said Dr. John A. Rock, Founding Dean and Senior VP for health affairs, Miami based FIU Herbert Wertheim College of Medicine. Administrators and caregivers at Cleveland Clinic Florida gathered recently for a celebratory grand opening of the new 7,600-square-foot imaging annex on its Weston campus. Housing three interventional radiology suites, the annex features two single and one biplane angiography suite with DynaCT capabilities that include state-of-the-art imaging. The suites will allow neuro-interventional radiologists to treat acute strokes and cerebral aneurysms. Interventional radiologists will also be able to minimally invasively diagnose and treat vascular aneurysms and blockages, liver tumors, other forms of cancer and uterine fibroids. Cleveland Clinic Florida, with locations in Weston, West Palm Beach, Atlantis, Palm Beach Gardens and Parkland, is a not-for-profit, multi-specialty, academic medical center that integrates clinical and hospital care with research and education. Cleveland Clinic Florida has 240 physicians with expertise in 35 specialties.